Westerville’s history is a point of pride for many residents. Between the Hanby House, Otterbein University and the former home of the Anti-Saloon League, few cities boast the historic landmarks Westerville does - and nowhere in Westerville embodies this rich history better than Uptown. Now our community’s historic recognition has gone national. 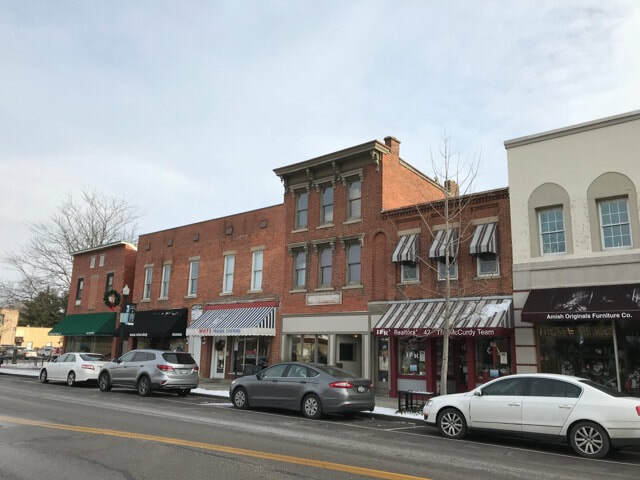 On March 22, 2019, Uptown Westerville’s recognition as a Historic District in the National Register of Historic Places was unanimously approved as meeting the National Register criteria at the Ohio Historic Site Preservation Advisory Meeting. The National Register of Historic Places defines historic districts as having a significant concentration, linkage or continuity of sites, buildings, structures, or objects united historically or aesthetically by plan or physical development. Uptown Westerville Inc. spearheaded the nomination process, with collaboration from the City of Westerville, community residents and elected officials. Special thanks to members of Westerville City Council for their resolution of support, the Westerville Historical Society for their letter of support for the nomination and State Representative Mary Lightbody for her advocacy. The next step is for the State Historic Preservation Officer to forward the nomination to the National Park Service (NPS). Once the nomination is received by the NPS, a 45-day review period begins. The National Register of Historic Places is the official list of properties recognized by the federal government as worthy of preservation for their local, state or national significance in American history, architecture, archaeology, engineering, or culture. Although the National Register is a program of the National Park Service, it is administered at the state level by each respective state. For more information on the process and other historic districts and places, visit OhioHistory.org/NationalRegister. Stay tuned to UptownWestervilleInc.com. for more updates. 4th Fridays in Uptown: What to expect and where to park! Summer is flying by, so don’t miss the remaining 4th Friday celebrations Uptown. 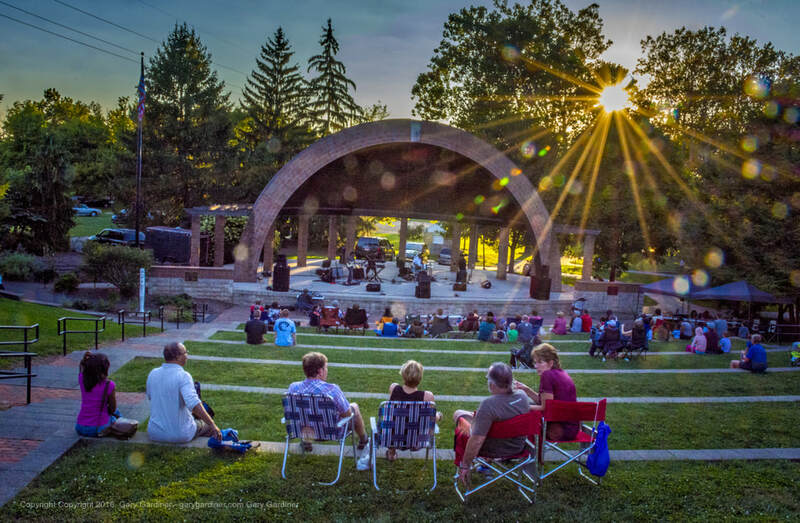 Led by the Westerville Visitors and Convention Bureau (WVCB) for the last 15 years, these events get bigger and better and serve as open invitations to residents and visitors to explore our great community. Most notable in 2018, State Street (State Route 3) is now closed to vehicular traffic between Park and Home Streets from 5:30 until after 9 p.m. for every 4th Friday, giving attendees plenty of space to move thru and a better sense of safety. Attendees will not only enjoy extended hours in the Uptown shops and restaurants, but street vendors and food trucks along State Street as well as the side streets featuring all manner of products, services and food truck fare to celebrate the coming of spring. The streets of Uptown will adorn art displays, children and family activities, live music, street performances, and other entertainment. Attendees can park at The Point at Otterbein University (60 Collegeview Ave.) and ride the free shuttle Uptown to enjoy the festivities. The shuttle will run every 15 minutes until 9 p.m.
All closures can be viewed at VisitWesterville.org. We hope that everyone gets an opportunity to experience the vibrant atmosphere of our Uptown during a 4th Friday this summer! The American Issue sculpture, the newest Uptown landmark, was unveiled on June 15. The installation is prominently displayed in the newly renovated City Hall courtyard at 21 S. State Street, adding to this dynamic public gathering space in the heart of our city. The unveiling of the sculpture signifies the 100-year anniversary of Westerville’s role in serving as the intellectual and logistical center for the passage of the 18th Amendment. If you’re not completely up-to-speed on your American history, the 18th Amendment was a constitutional change that prohibited the manufacture, sale or transportation of “intoxicating liquors” in the United States. And Westerville was central to its formation. The amendment was championed by the Anti-Saloon League, which had moved to Westerville in 1909 due to the city’s “pro-temperance” reputation. “The American Issue”, a weekly publication published by the Anti-Saloon League, was printed in Westerville. Due to this, Westerville was known as the “Dry Capital of the World” for decades. This is an exciting addition to our Uptown, helping preserve and recognize Westerville’s rich history - even on a national scale. Visit Uptown to marvel at this symbol of the historic complex nature of this social issue. For more information, visit https://parks.westerville.org/programs/arts-and-culture/the-american-issue-sculpture. ​In our first Uptown spotlight, we welcome one of our newest members Kathy Cocuzzi. If you’ve lived in Westerville a while, you’ve probably heard of her or been impacted by her work. 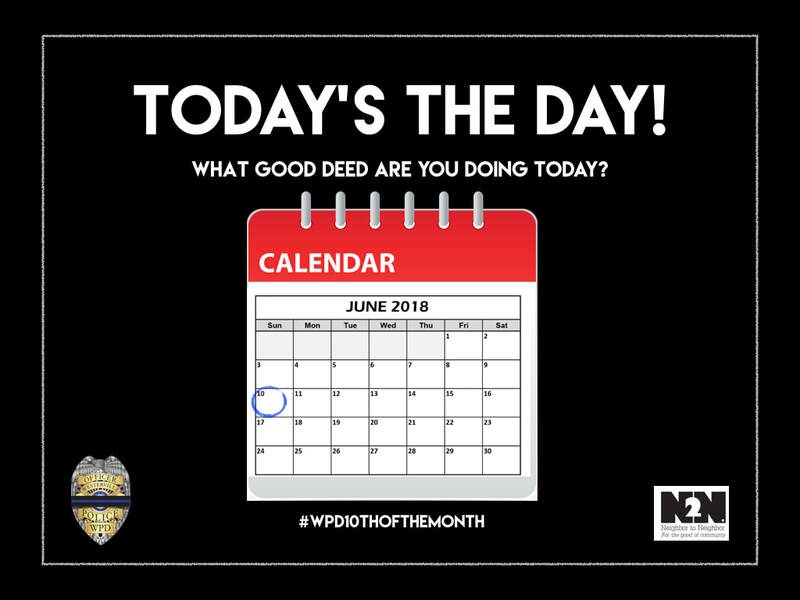 Not only is she a long time Westerville resident, but she has served as a community leader for over a decade. Get to know her a little better. During the two days your favorite lot may be unavailable, please remember that parking is free and plentiful in Uptown. Parking can usually be found by the City Hall, the Church of the Messiah Gathering Place, and the Westerville Public Library. The inaugural Westerville Saturday Farmers Market #wsfm will welcome in visitors from all around Central Ohio this weekend as local vendors line Grove Street on the campus of Otterbein University! The long wait is over for Westerville residents, thanks to the partnership of Uptown Westerville, Inc., the City of Westerville and Otterbein University, but it’s several of the Market vendors’ deep rooted ties to Westerville that make it so special. Local ties, and an abundance of organic, natural products with a focus on sustainable farming, are a theme among the more than twenty merchants. Here’s a glimpse into what you can expect this weekend and stay tuned for more Market stories throughout the summer. Swing by Schneider's for a donut or cookie and head down Main Street, through the heart of Otterbein University’s campus, to Alum Creek Park. The playground at Alum Creek Park has evolved over the years, but the “choo-choo train” park still offers a massive playset for all ages, and a modern day train set for kids to crawl through. Keep an eye out for the Sounds of Summer Concert Series at the park’s amphitheater. Attention Uptown: It's Patio Season! We made it. It’s finally here. It’s hard to believe but with warm temperatures (and the inevitable Ohio rain showers) on the horizon this weekend, spring is here! With spring, we welcome in patio season and festivals around Westerville.